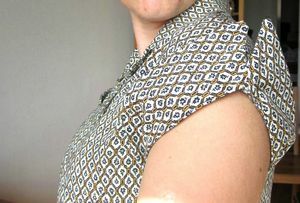 Today a weird sleeves shirt from the book Couture Vintage by Tonje Thoresen. Simplicity 3107 in blue Crimplene… Complete! 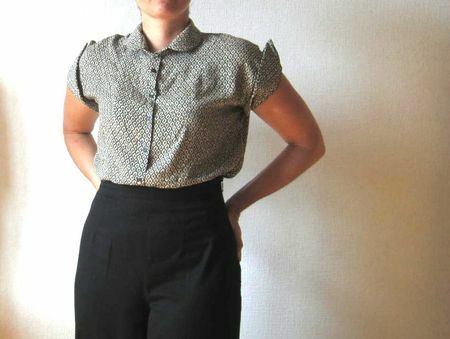 This is so cute, I’d make me smile everytime seeing a blouse with these sleeves! The sleeves are really fantastic!